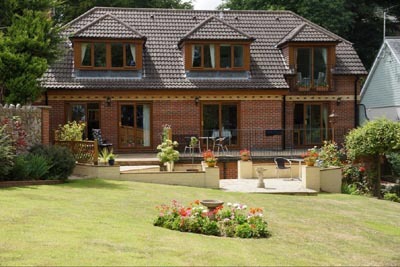 Christine & Ian would like to welcome you to our beautiful, modern home in Dawlish. We offer spacious and luxury boutique accommodation, and also not forgetting Christine's yummy Homemade Biscuits, Jams, Marmalade & Granolas. The property is set on a very quiet, no-through road with sea views to the rear and only a 10 - 15 minute walk down the hill to the town and beach. We extend a warm and friendly welcome to all our guests, and trust you have a relaxed and pleasant stay. There is ample, free and safe parking on our driveway and outside the gates on the no through road. A deposit of £25 pp (non refundable) is required to secure any reservations. Please call 01626 866345 or 07709 518 958 to find out more. 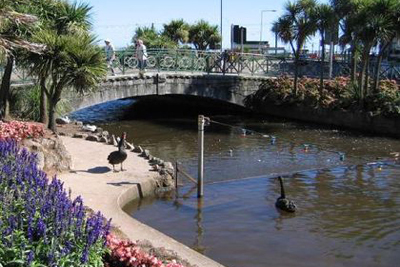 Dawlish, "The home of the Black Swan", who nest alongside the brook, is a fascinating little regency resort town with beautiful lawns and gardens. There are various tea rooms, local shops, pubs and restaurants to enjoy, as well as a quaint theatre. The Beeches B&B would also be an excellent base for you to explore places like Paignton, Dartmoor, Teignmouth and Exmouth, all of which are easily accessible by car. Frequent buses and mainline trains also go to Exeter, Torquay, Newton Abbot etc. There are also coastal paths nearby for walkers to enjoy. The South West Coast Path passes right past our front gate! It can be followed in either direction - towards Dawlish and Dawlish Warren or the other way towards Teignmouth. In either direction the views are stunning and much of the route is on the flat along the famous sea wall. From Dawlish town centre proceed up the hill towards Teignmouth. From Teignmouth on the A379 turn first right after the Smugglers Inn. The Beeches can be found halfway down the no through road on the right hand side. On foot from Dawlish Station there is a short cut which follows the South West Coast Path from Marine Parade, across the park and entering into the cul-de-sac end of Old Teignmouth Road. Use the Google map to view this route.